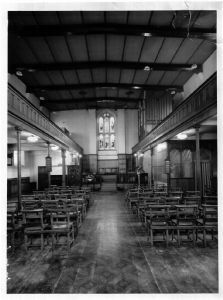 The original All Saints building was opened in 1838 and for a time was known as All Saints Battlebridge or Battle Bridge. 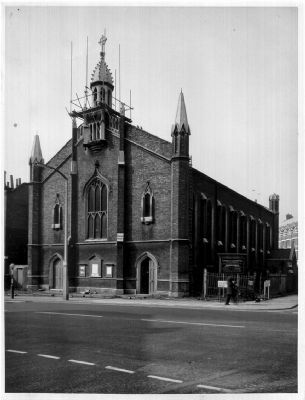 Its location on the corner of All Saints Street and Caledonian Road was redeveloped in 1977 and the congregation moved in to the present site which was the church hall. Old Parish records are held at the London Metropolitan Archives which is run by the City of London There is 3 linear metres of shelving taken up by baptism, service, and marriage books as well as church council minutes etc. The reference for the church collection is P83/ALL1. All records before 1990 are held here.